Will social media alone produce a flood of new patients? Social media has shaken the world of marketing, influencing what we see and do on the Internet. In terms of generating new patients, however, it’s not as straightforward as it may seem. While social media is an important marketing channel, there are many misconceptions about what it can and cannot do. Does Social Media Produce New Patients? Social media is an essential component of your online presence. Facebook, Twitter, and other social networks can bring more new patients through your doors. However, these platforms shouldn’t be your sole marketing initiative. Not even your primary marketing initiative. For years, we’ve been collecting data on thousands of our clients’ websites. With the Perfect Patients New Patient Tracker, we’ve been able to identify which online initiatives are the top sources of new patients. Social media is the low man on the totem pole. In fact, our findings show that a mere 1.8 percent of new patients start their journey through Facebook. Patient retention: By posting regularly on your social pages, you stay at the top of your patients’ minds throughout the year. Your social activity serves as a reminder for patients to schedule their next appointment. More referrals: Have you ever asked for a recommendation on Facebook? Many people do. And if you’ve built a sense of community on your social media pages, this top-of-mind awareness increases the likelihood that your current patients will refer you when one of their peers is looking for a chiropractor. 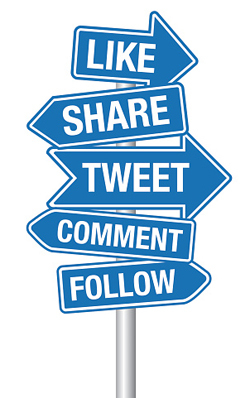 For the most part, your social media presence caters to existing patients. However, there are ways to target prospective patients through social platforms. But you generally have to pay for it. Social media advertising allows you to reach specific segments of users who’ve never heard of you. Do you have a new patient special? An upcoming lecture you’d like to promote? Run a Facebook campaign. The main difference between traditional social media posting and paid social media advertising is that the former targets people who are already following you and the latter targets people who’ve yet to hear about you. Learn more about social media advertising in this blog post from our archives. Ensure that your Business page is dynamic and attractive. Post one to three times per week, depending on your needs and audience. Boost highly-engaged posts with your existing Facebook followers. Always focus on providing value that is relevant to your patients. Google doesn’t claim to take social media into account when determining the overall authority of a website. However, Google’s algorithm does appear to observe certain social signals to decide how to rank a particular page. It’s not so much the actual social posts that are important as it is the results of those posts. For example, say that you post a link to a new blog on your website on your Facebook page. Google may look at the engagement with that post (likes, shares, comments) to determine its value and relevance to your audience. Google’s goal is to provide the best possible results to people using their search engine. If you provide valuable content to your social media audience, driving qualified traffic to your website, they just might give it a boost in their search engine. 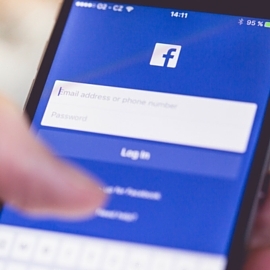 It’s unlikely that you’ll get many followers to share your website’s homepage on Facebook. The most “shareable” content is rich with education. It’s content that focuses not on your needs, but on the needs of patients. The best way to address these needs is through blogging. Blogging is not simply a hobby. It’s a marketing tool that can attract potential new patients to your website, while further enforcing trust with current patients. Blogging makes your website a portal of information for people who are looking to improve their health through chiropractic care. To get the most out of your blog, you’ll have to promote it. This is where social media can help. Each time you publish a new blog post you’ll want to publish it to your social media pages. This will feed followers back to your website. If they enjoy the content, they might share it with their peers. This “share” and the website visits it produces becomes a social signal – a signal that gives Google a reason to reward you. Setting up a Facebook or Twitter profile, while discounting other online assets, will likely result in little or no new patients. Effective marketing requires an integrated approach to make social media impactful. Your social activity must serve a purpose, and that is to feed qualified visitors to your website. Your chiropractic website is the hub of all your online marketing efforts. Why? Because it’s the launching pad for more patient appointments. It’s where you “sell” your practice, in a way that social media cannot do. Furthermore, your website is where most people first come to learn about your practice. The overwhelming majority will find your website through Google. Without already having heard of you, not many prospective patients will find you through Facebook. That being said, having an active social media presence is essential. In addition to keeping your current patients engaged, it further validates your practice in the minds of potential patients. In the same way that an unappealing website can be a deal breaker for a prospective patient, so too can a neglected social media page. After perusing your website, many people will want to see whether or not you have an up-to-date social presence. This is why it’s important to have a plugin on your website that gives visitors easy access to your social pages (i.e. look at the top left corner of our website and you’ll see buttons that link to each of our social profiles). Social media is not a primary source of new patients; it’s a way to build a patient community that encourages repeat appointments and referrals. There is increasing evidence that social signals have an impact on search rankings. While the number of followers you have might not make a difference, good engagement on your posts that link to your website shows Google that your website is a valuable source of information. An active practice blog helps nurture relationships with existing patients, while attracting prospective new patients to your website. Social media can give your blog posts a ranking boost when followers share your content. Social media isn’t a substitute for, but rather an extension of, your practice website. Your social presence brings credibility to your practice, showing that you are the number-one chiropractic solution. Have a Facebook page but don’t know what to do? Download our free eBook below to get started!